UPDATE: Now an Amazon Add-On item. Amazon has got this 1.75 oz. 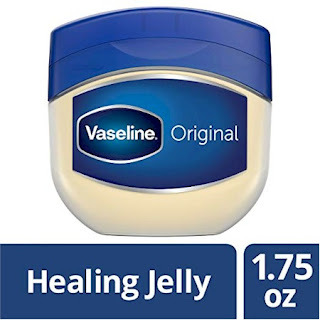 Vaseline Original Healing Jelly for $0.99 with free Prime shipping, the lowest recorded Amazon price on this item. You must order a minimum of two of these, and there is no maximum quantity. 4.4 out of 5 stars over 63 customer reviews and it's an Amazon #1 Best Seller.